Jarrah is an Australian member of the eucalyptus family. It is extremely rot resistant and therefore, has been used for flooring, railroad ties and furniture of all types. 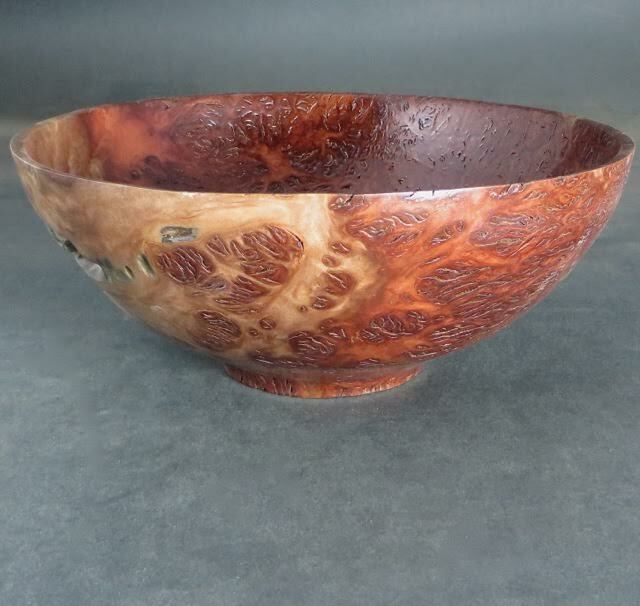 This bowl is 12″ wide x 5″ tall and would not hold water due to fine slits in the wood.